Secret filming inside the Scottish Police academy, and a Freedom of Information request to Police Scotland, has exposed a disturbing relationship between the UK government and Sri Lankan security forces linked to war crimes. The SNP-run Scottish government is also implicated in the scheme. The filming also revealed that scheme uses money from Britain’s aid budget. Sri Lanka’s Special Task Force (STF) is a paramilitary unit with a long history of war crimes. Its members undergo special forces training and wear camouflage uniforms. In July, they opened fire on two unarmed Tamil teenagers for stealing sand from a beach. The pair were so terrified of the STF that they jumped into a lagoon to escape. One drowned, aged 17. So, when we saw a small photo of what looked like Sri Lanka’s Special Task Force on Police Scotland’s website, VICE made a Freedom of Information request to find out more. Scottish police confirmed that they trained the unit this year “at strategic, tactical and operational levels to manage public gatherings and protests”. They also confirmed that British diplomats had backed an “in-depth study” of the Special Task Force’s “capability, training and tactics”. Police Scotland refused to tell us anything more in writing. They invited us to their academy at Tulliallan Castle in Fife to discuss their international strategy face-to-face, claiming they “recognised that there is a general public interest in transparency by public authorities”. Only weeks before our meeting, they denied us permission to record the interview. As a result of this refusal of permission to record the interview we were conscious that Police Scotland were likely to reveal information off camera that they would otherwise refuse to reveal while being recorded. As the interview would cover matters of international importance we decided to secretly film our visit so that the actual position of Police Scotland could not be mistaken. The manager, who we are not naming, was extremely cagey about the Special Task Force project. He tried to distance himself, saying, “We’ve trained individuals who are trainers. What we’re doing is training their trainers, how to train.” This might have been reassuring, had he not then described their approach as including “da, da, da, human rights stuff”. The training does not seem to have improved the STF’s conduct. The day we visited Tulliallan Castle, the Special Task Force was filmed beating and crushing protesters in the north of Sri Lanka. One officer was seen holding his baton the wrong way around, and plunging it like a spear into civilians. In the footage, the unit’s military appearance is striking. But the manager was completely unconcerned by the STF’s camouflage uniform. “It’s not about what people look like… What colour the uniform is – is not the issue,” he insisted. There is a constant stream of local media reports about STF misconduct. In June of 2017, around 90 medical students, including 20 women, were hospitalised after the Special Task Force violently evicted them from Sri Lanka’s Health Ministry during a protest. When we tried to show Police Scotland a video of the incident, the manager refused to even watch it. Police Scotland has another training site south of Glasgow, complete with a model village for practising riot control. The manager appeared to confirm that Sri Lankan police had visited both facilities. He said that the model village had false walls, “because literally if you think of a riot and a crowd, there’s quite a lot of bodies bouncing off walls in a crush. So you need something that is going to be robust enough, but at the same time people aren’t going to get hurt, in the training exercise.” The site has a network of alleyways to replicate real life riots, where protesters might be “running down the wee alleyway and coming behind you”, he said. Our meeting took place in the academy’s international unit – a room lined with bookshelves, foreign police hats and trophies. When asked about awards from Sri Lanka on display in his office, the manager downplayed their importance and compared them to “sweeties” foisted upon him by grateful locals. In fact, documents show that one of these “sweeties” was given to Scotland’s Deputy Chief Constable “as a token of appreciation” for training a senior Sri Lankan officer. However, these awards do not mean that the human rights situation is improving in Sri Lanka. Scottish police started work there way back in 2007, initially focusing on “community policing”. Throughout this decade of Scottish assistance, the UN has repeatedly accused Sri Lanka’s police of torture. In 2007, the UN’s Special Rapporteur on Torture warned that there was “overwhelming evidence that torture is routine” among Sri Lankan police. While we have spoken to several Tamil people who allege that the Special Task Force tortured them within the last decade, the most notorious Sri Lankan units for torture are the Criminal Investigation Department (CID) and Terrorism Investigation Division (TID). Importantly, a senior Sri Lankan police officer told the UN that Police Scotland trained these units. “Training programmes are conducted in collaboration with the Scottish Police College,” he said, adding that “about 600 police officers of the inspector rate and the above ranks, including CID, TID and other investigative bureaus of Sri Lanka Police, have attended the programme”. Secret documents revealed by VICE last year showed that British diplomats were concerned about “a veneer of community based policing being used to cover less palatable behaviour”. The Foreign Office continues to pay Police Scotland for this work, in spite of the UN’s warnings about ongoing torture. The project will cost over a million pounds of taxpayer’s money this year. The manager refused to discuss any figures, and said, “It’s the appropriate grant amount for the work that we do.” He explained that this money came from the overseas aid budget. It seems like this approach allows Police Scotland to train almost anyone. They are required to ask permission from police chiefs, but the manager said he had never had a project refused. Still, there are some limits. North Korea was laughed off, for now. But their work in Sri Lanka is firmly supported by the UK government, and surprisingly, the Scottish government. 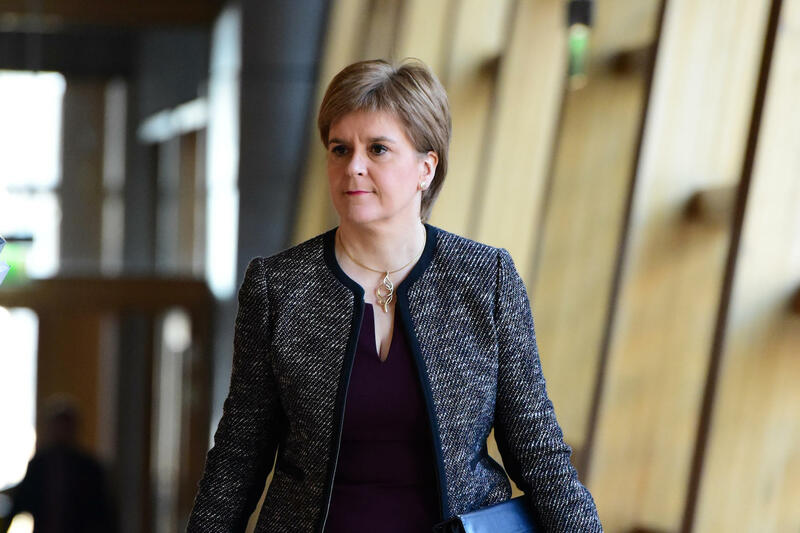 The manager said that, “Police officers in Scotland cannot deploy overseas without approval through the Scottish Government.” The SNP’s leader, Nicola Sturgeon, who is fond of criticising Downing Street for its repressive Gulf allies, seems to be allowing this project with Sri Lanka to carry on. Responding to VICE’s revelations, a Foreign and Commonwealth Office spokesman said: “The UK has made a long-term commitment to improving human rights in Sri Lanka and is dedicated to helping the country to rebuild and move on from three decades of civil conflict. Encouraging and supporting the Sri Lankan Police Service to improve their policing approach is a key part of that work. “We have been providing technical support to the Sri Lankan Police Service and its National Police Academy, to strengthen professional standards including a gender sensitive and human rights compliant approach – in line with Sri Lanka’s UN Human Rights Council commitments. Superintendent Shaun McKillop, who leads Police Scotland’s International Development Unit, said: “Police Scotland, and its legacy forces, is viewed as a worldwide exemplar of law enforcement training and has been providing international assistance and police training since 1993. A Scottish Government spokesperson said: “The Scottish Government condemns human rights abuses wherever they occur. We use our international engagement activity to help increase respect for, and understanding of human rights, and we are committed to raising concern if and where appropriate.